One of our most requested topics and we are excited to finally host it! 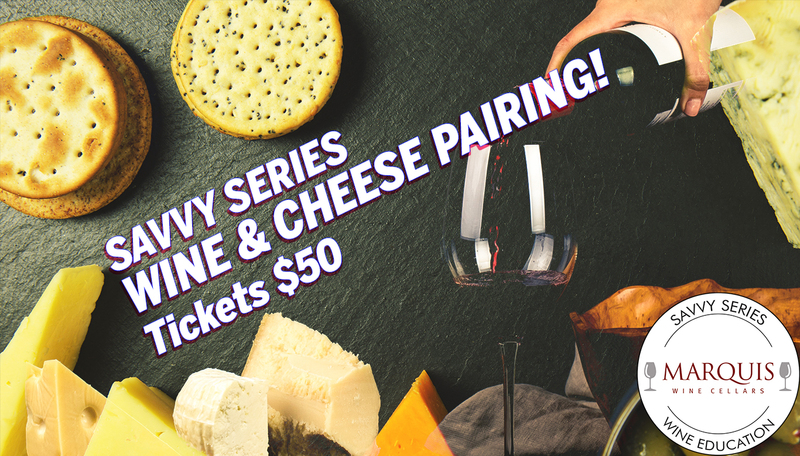 Join renowned cheese expert and co-owner of Les Amis de Fromage cheese stores, Allison Spurrell, as she and sommelier Pam Cohen, pair a selection of cheeses with 6 wines. This is sure to be a fun-filled and informative class for all wine lovers. Whether you in charge of corporate events or just looking to spice up your Netflix and wine nights, professional Sommelier Pam Cohen has got you covered. This class will include a variety of wines and cheeses that you can try pairing at your next dinner function or relaxing night on the couch. Can’t miss it. Cost: $50 per person, available on this page. NOTE: We cannot provide refunds or exchanges for event tickets. If you have tickets and cannot attend, please email events@marquis-wines.com. Similarly, if you need tickets and the event is sold out, please send us an email to be added to the waitlist.